The Right Reverend Dr Paul Colton, Bishop of Cork, Cloyne and Ross has announced his appointment of the Reverend Daniel Nuzum as a Canon of both St Fin Barre’s Cathedral, Cork and St Colman’s Cathedral, Cloyne. Canon Nuzum, who continues as Healthcare Chaplain at Cork University Hospital, Marymount University Hospital and Hospice, and the Bon Secours Hospital, Cork has been appointed to the ancient Prebendal Stalls of St Michael and Inniskenny in St Fin Barre’s Cathedral, Cork and to that of Brigown, in St Colman’s Cathedral, Cloyne. Canons are non-residential members of the Cathedral Chapter (the ruling body of the Cathedral) appointed by the Bishop as a mark of their contribution in ministry to the work of the Diocese. 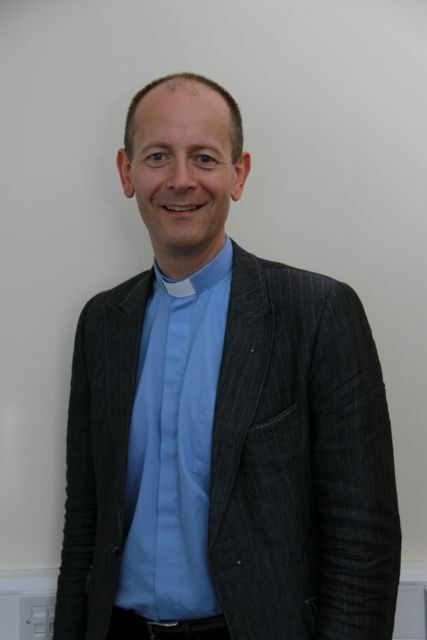 The role is an honorary one; Canon Nuzum will be continuing his valued ministry as healthcare chaplain, as Rural Dean, and as Diocesan Ecumenical Officer. Canon Nuzum’s Installation in St Fin Barre’s Cathedral, Cork will take place during Evensong at 7 p.m. on Sunday, 26th January, 2014. All are invited to attend. This entry was posted in Appointments, Cathedral, Clergy, Diocese. Bookmark the permalink.